Great Gifts For Dad from Warby Parker! Want to give Dad a cool gift for Father's Day? If you haven't gotten a gift for Dad, I have a fun idea for you to consider. 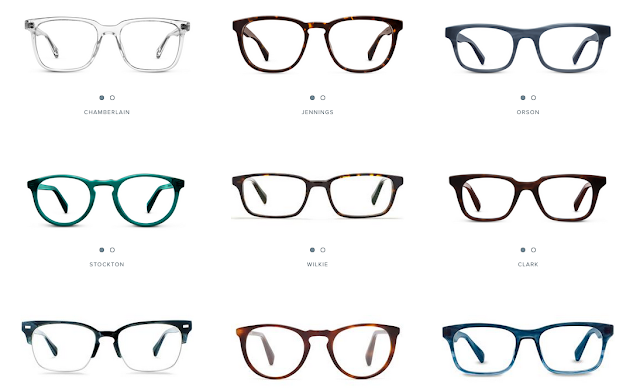 Are you familiar with Warby Parker glasses? Warby Parker makes quality glasses for a fraction of the price most designer glass manufacturers charge for the same quality. 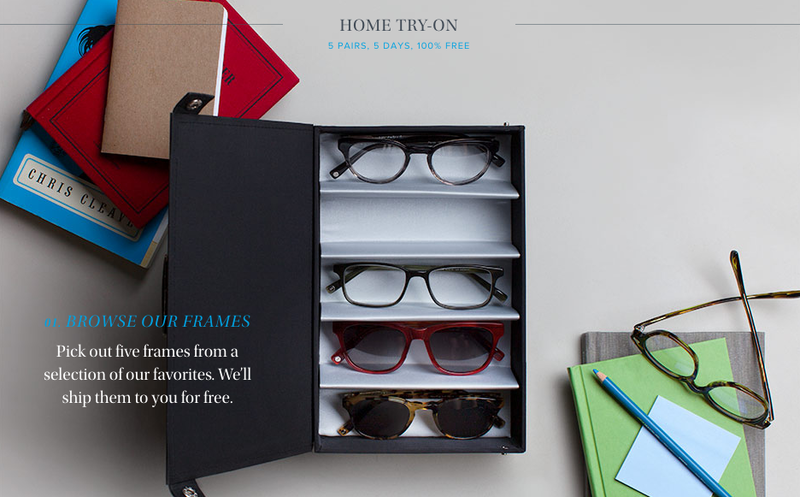 Warby Parker makes glasses buying simple with their free home try-on program. Just pick five frames and they will be shipped to you for free. You have five days to try them out then choose your favorite and ship the trial pairs back for free. The new glasses will ship to you asap! How special would Dad feel if you took the time to pick out five frames for him then let him pick his favorite. It doesn't get any better than that! To read about the home try-on program click here. give a pair program. Read about it here. I leave for New York on Wednesday for my #topsecret DXV project, while I'm in the big Apple perhaps I'll pop into the Warby Parker store and try on a few styles for myself! 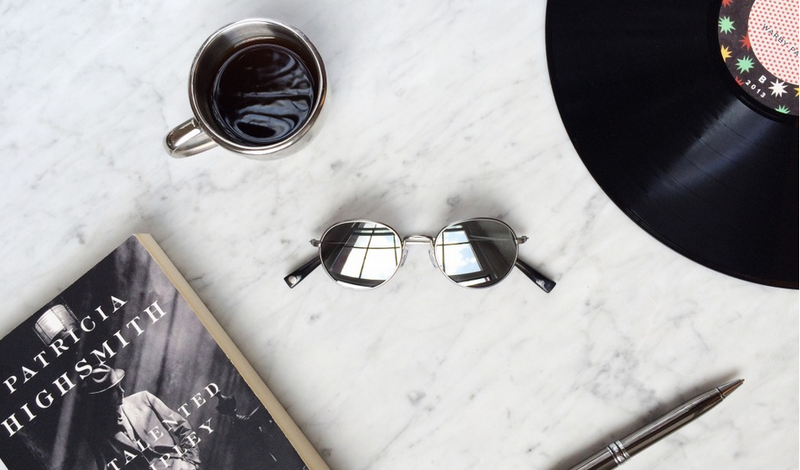 Pop over to Warby Parker and order five great frames for your Dad for Father's Day. He'll look super cool, and his eyes will thank you! I am so excited to travel to New York next week for the unveiling of a #topsecret project I have been working on for DXV. I cannot wait to share the final reveal! I must have something spectacular to wear. I have been searching my wardrobe but so far haven't discovered anything I already own that fits the bill for the events. I want something black, simple and chic. Is that too much to ask? While I was shopping for outfits to take to New York, I found a few other things I would like for summer too! My list ranges from shampoo and jewelry to fun dresses and more! 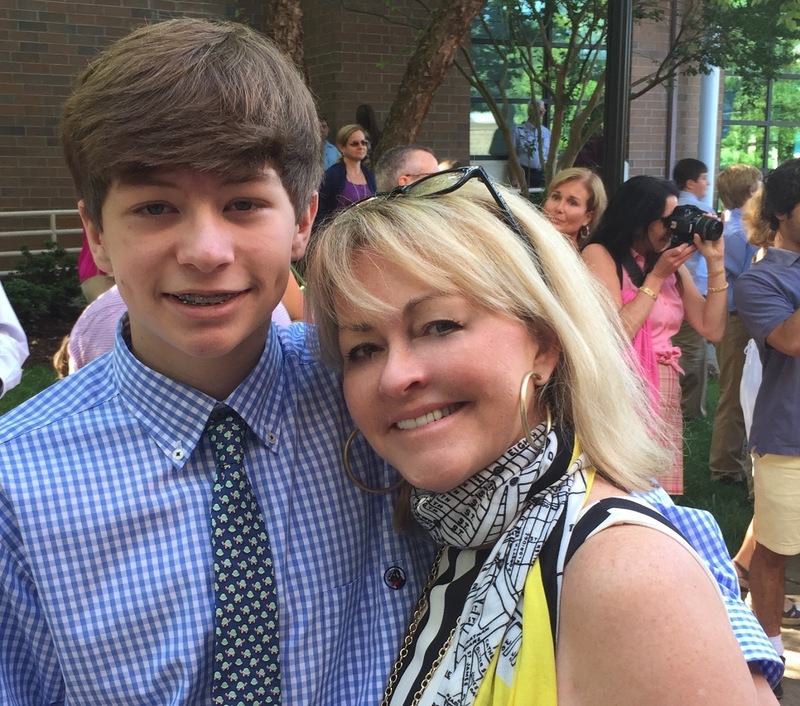 Today we celebrate Thomas Worth Mende's official graduation from Middle School! Thomas is the youngest of our four children, so Bryant and I have successfully become parents of two high schoolers and one college graduate! I am so incredibly proud of this Thomas. This young man has never been a demanding. He has always been happy to have his older brother's hand-me-downs without a complaint. His smile can light up a room and hugs are just part of his nature! What is it about an undemanding personality that increases a desire to do something special for this type of person? I need to take notes and learn from Thomas. I find myself often demanding of people, and that isn't the way to get things done. In the Bible, it says, "the meek shall inherit the Earth." If we abide by that scripture, I cannot wait to see what great things Thomas accomplishes. I'm quite sure his gentle nature will carry him far in life. I can't wait to share in those special times with him. Thomas makes me want to be better at everything I do so that he can be as proud of me as I am of him which is next to impossible. I shared a little advice with Thomas this morning I found on instagram "No one is you, and that is your power" I do believe we all possess an inner power we are often unaware we have. We can make a difference in life if we search deep for ways to do so. I expect Thomas will discover the way..
Thomas was not amused with the "selfie" but hey, he indulged me anyway? The sage advice that was given at the graduation ceremony is worth sharing. The headmaster gave five things to focus on for success. 4) build a network of relationships. 5) there was a 5th but I got side tracked by my neighbor...anyone there who what #5 was? Oh well, guess we will figure it out! Now we are off to the class pool party! Congrats to Thomas! 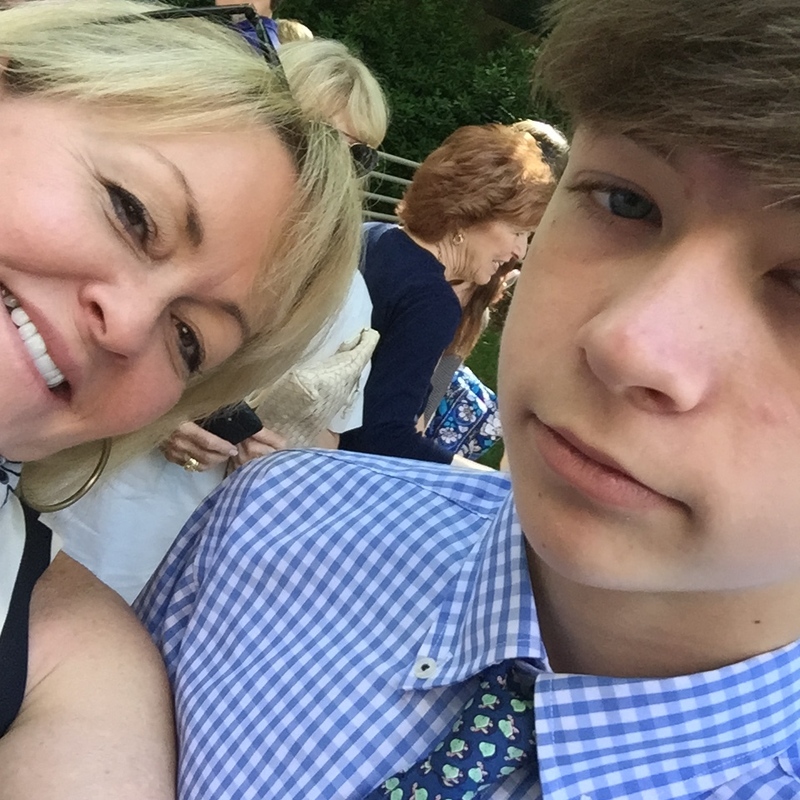 I'm so proud to be your Mom! 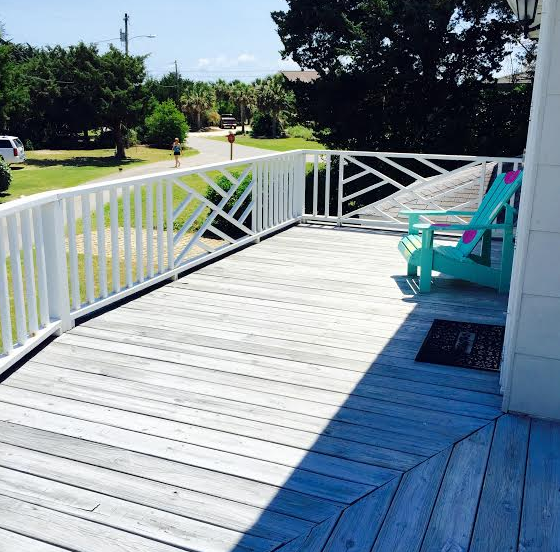 This deck is huge! I think we can have a table and chairs, seating area, possibly a second table and chairs beyond the seating area on this side alone. This is the other side of the house. This is a smaller area which could have a couple of chairs and a table or a love seat or a couple of chaise lounges. It gets so hot on this deck during the day. The only way you could survive would be under an umbrella but later in the evening when the sun goes down, it's a great place to hang out. 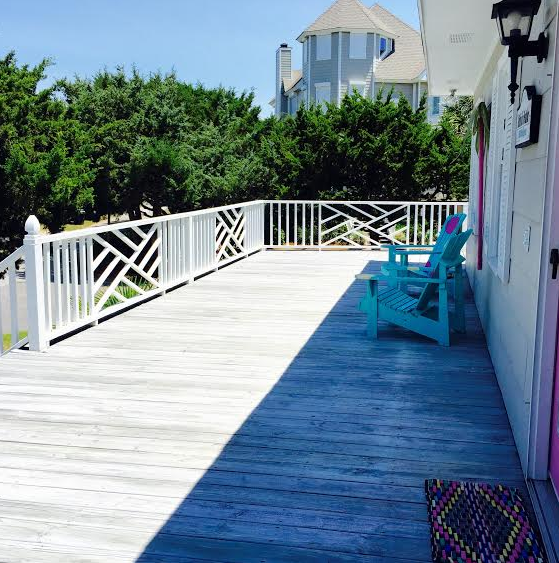 The interior of our beach house isn't large so expanding the seating and dining to our deck will make an enormous difference for entertaining. I'm excited about the possibilities. Up until now the only furniture we have had out there has been Adirondack chairs and side tables. I'm ready to get serious about making these decks functional. Our kids have gotten to the age they want somewhere to hang out with friends, this could be the perfect solution to our space issue. At High Point Market in April, I discovered Woodard Furniture. This industry veteran has been making quality outdoor furniture for over 140 years. Woodard offers a large variety of quality wrought iron, aluminum, and outdoor wicker furniture in traditional and contemporary style. Woodard's quality construction is unparalleled in the industry. Finding the right outdoor furniture for coastal properties can be difficult because it needs to be attractive, comfortable and be made to withstand the salt air. 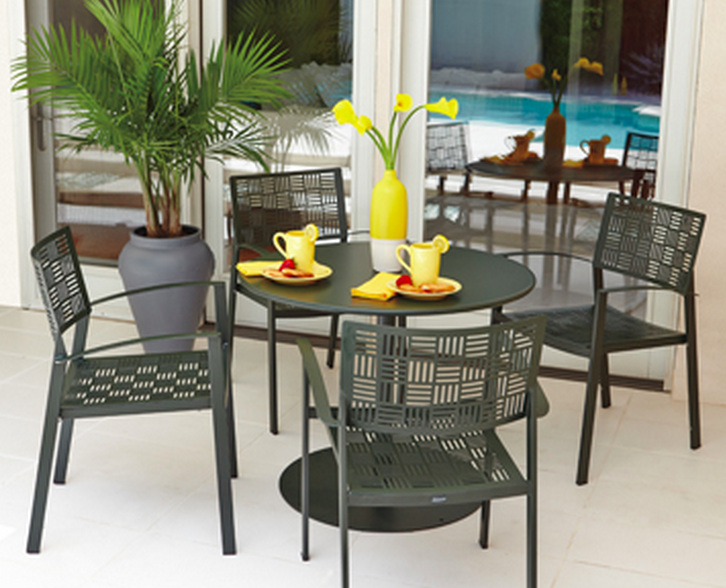 It's easy find outdoor furniture that looks good, but the difference comes in the construction. Who wants to replace furniture every year? It's important to find furniture that will withstand the elements and last for awhile? Shipping is expensive so if you are paying to replace furniture each year your investment becomes paying for shipping, not owning quality furniture. I was so excited to find a line that offers both great styles and quality construction, now comes the hard part. What do I choose? Here are some of my favorite collections from Woodard Furniture. 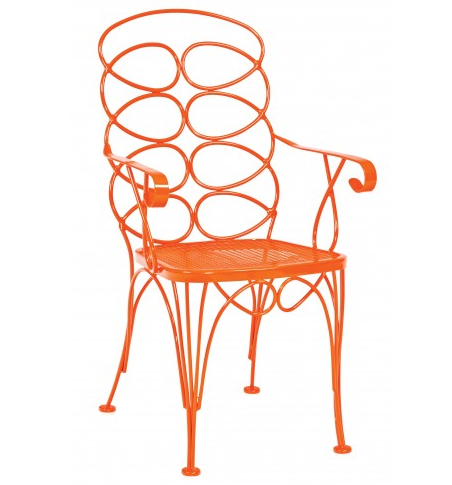 I would love to have one of Woodard's Gelati Whimsical bistro tables and chairs in orange. How cute is this? I also love the Parisienne Bistro table and chairs. This set reminds me of an old fashion ice cream shop. The romantic heart details are sure to win you over. Sculptura offers iconic mid-century design in woven wire available in a multitude of colors. This collection is built to last. I fell in love with the Spright Kid's set and asked them to "pretty please" make it in adult sizes. I have it from a good source that we can expect the adult version of Spright to appear at a future market. The Baja Strap chair might be my favorite of all for the beach. These low-maintenance chairs deliver high style in a stacking chair which offers the option for convenient storage. 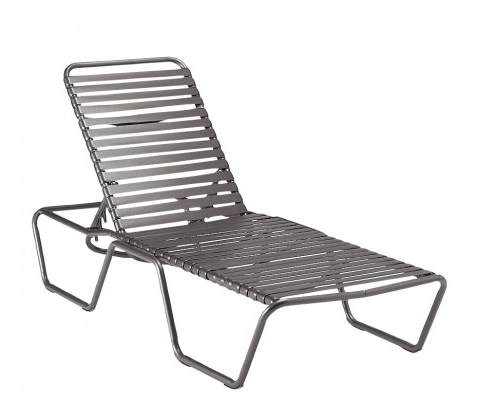 This uber chic chair is equally as useful as a sand chair or on the deck or by the pool. I love the chaise lounge in this collection too. It is also stackable and in stock. 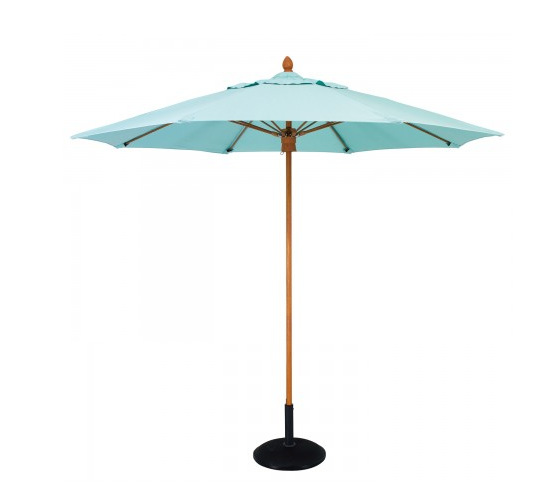 If I had a couple of these umbrellas, I could create the perfect oasis on my deck. It is one of my favorite colors. I sometimes prefer a chaise with arms, the Dominica is an excellent option if you do as well. Wouldn't this collection look fab at a mountain house? Another classic dining option is the Ramsgate, which offers numerous finishes and fabrics with a broad range of pieces that can be customized for your home. 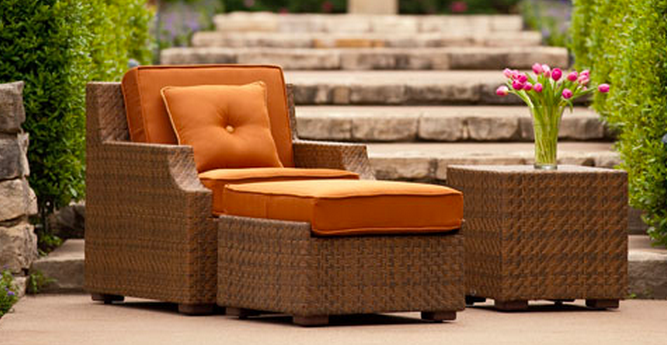 Woodard also offers stylish and comfortable seating collections. Their collections consist of loveseats, sofas, swivels, chaise lounge chairs, and ottomans. Dining collections include tables, chairs, bar stools, and umbrella tables in many styles and finish options. 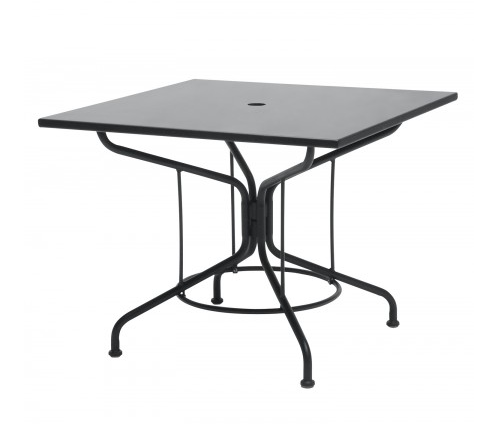 I love this 36" x 36" square table for its versatile use. It's great to get a couple of these for your patio. If you have, a large group over you can push them together to create a larger table to gather around. I think I'm leaning towards the Baja strap collection with aqua umbrellas? Now to figure out which dining and seating collection to add to my wish list. What's your favorite? To see the entire Woodard Collection visit their website here. 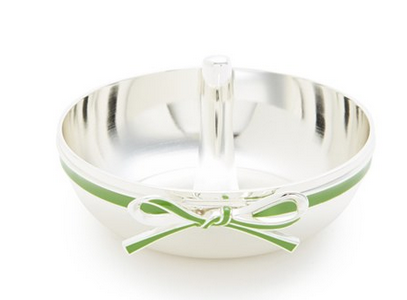 5 Great Graduation Gifts Under $50! 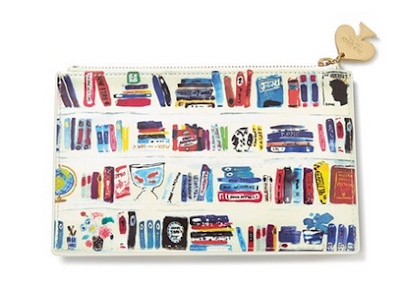 Don't know what to buy for the graduate on your list? 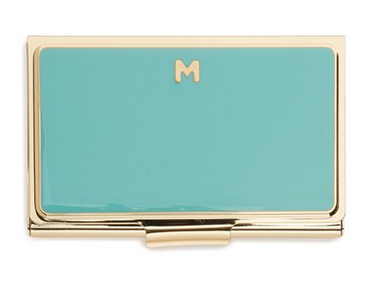 I curated a few of my favorite gifts for graduation to make your shopping easier. 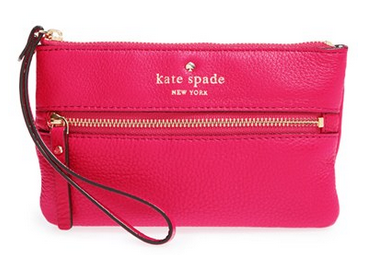 I love to give these Kate Spade wristlets, every girl loves them. What to give a gift that is a little more expensive for that special graduate? Tuck some money inside. She will love you for it! I have given these for birthday gifts, and have always been met with a big smile and thank you from the receipant. or loose change on a dresser. Ring holders are nice for all kinds of rings. Diamond rings, earrings, key rings. Just toss your rings on it to remember where they are when you need them! I dont' know about you but I have always loved school supplies. There is just something about having a cute little pencil pouch that appeals to me. If you want to make the gift more special add some cute pencils with her name on them or a gift card to starbucks inside. 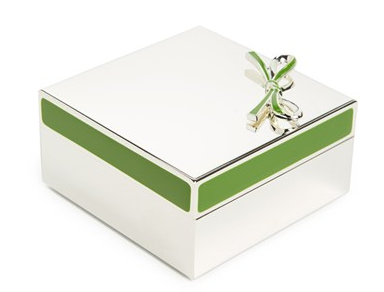 This isn't a gfit for the college graduate any longer, now days everyone has calling cards or business cards, and if they don't why not make some pretty ones to put inside to add to the gift. She will be thrilled you were so thoughtful. Hopefully, I have given you some great ideas for the female graduate on your list. If you want more ideas click here! While you are on the Nordstrom site, make sure to take advantage of the half yearly sale that is going on to save big!! Click here to shop the Half Yearly Sale and Save! Nordstrom Half Yearly Sale: Save up to 40% at the Nordstrom Half-Yearly Sale on Men, Women & Kids styles, while supplies last through May 31! FREE Shipping. FREE Returns. Nordstrom Half-Yearly Sale (specific to Handbags & Accessories): Up to 40% OFF Handbags, Jewelry, Watches & Home: Up to 40% OFF Handbags, Jewelry, Watches & Home at Nordstrom, through May 31! FREE Shipping. FREE Returns. Nordstrom Half-Yearly Sale (specific to Women's Active & Swim): Up to 40% OFF Active, Swim and Lingerie: Up to 40% OFF Active, Swim and Lingerie styles from Zella, Nike & more at Nordstrom, throughMay 31! FREE Shipping. FREE Returns. Nordstrom Half-Yearly Sale (specific to Women's Shoes): New Markdowns on top Women's Shoe Brands: New Women's Shoes Markdowns from Sam Edelman, Steve Madden, Ivanka Trump & more at Nordstrom, through May 31! FREE Shipping. FREE Returns. Nordstrom Half-Yearly Sale (specific to Kids' Shoes): New Markdowns on top Kids' Shoes Brands: New Kids' Shoes Markdowns from favorite brands like Crocs, MICHAEL Michael Kors & more at Nordstrom, through May 31! FREE Shipping. FREE Returns. Nordstrom Half-Yearly Sale (specific to Men's Shoes): New Markdowns on top Men's Shoe Brands: New Men's Shoes Markdowns from Cole Haan, Bruno Magli, Nike & more at Nordstrom, through May 31! FREE Shipping. FREE Returns. Click here to access If you are a Mom or a Mom to be pop over and join Amazon.com/mom site, where you can save 20% on diapers subscriptions, and have access to all kinds of exclusive deals delivered to your doorstep while your kid sleeps! HOMEFRONT: Design for Modern Living is Windsor Smith's new gorgeous 260-page book. It is currently one of my favorite design books to recommend. If you are a lover of innovative design, this is a book you will want in your library. 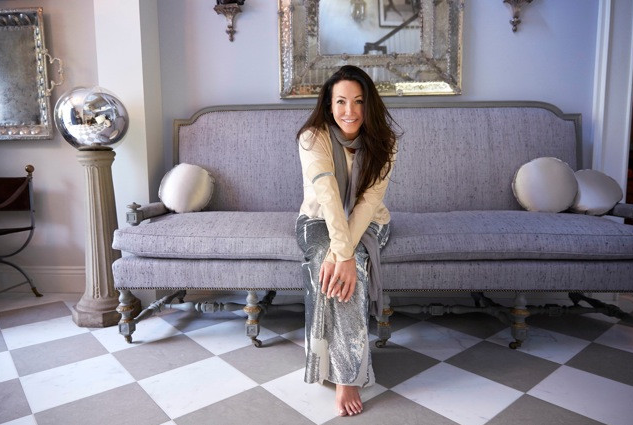 Her fresh vision for today's lifestyles provides unconventional wisdom for designing a home to meet the needs of the dwellers rather than simply filling a home with furniture. The book is bursting with smart ideas that anyone can employ no matter what your design style. The book is well written and as carefully crafted as Smith's exceptionally well design projects. She asks, "how do you want to live." If you don't need, a living room consider making it another room you will use. The book was intriguing to me because these are the very questions I have been asking clients and my family. Our homes should reflect how we live and serve the purpose of supporting our lifestyles. 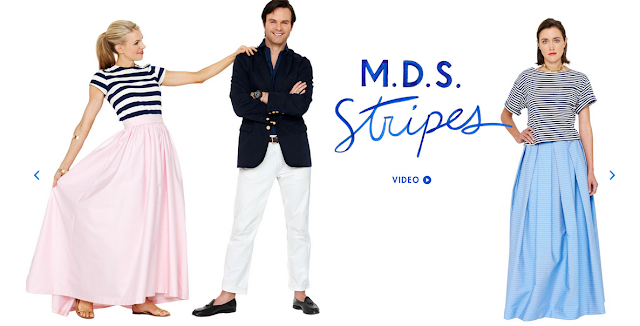 M.D.S. Stripes is a new sportswear collection designed by interior designer, Mark D. Sikes of LA. This collection supports the theory that a designer can cross the line quite easily when designing interiors or fashion. In this case, I mean " horizontal lines" as in stripes. Let's just say the ole "zebra can change his stripes" or in Mark's Sike's case, the young de bonair designer can." A writer, I don't profess to be, but "good design", I know it when I see it. This collection is good design! I knew the night was going to be fabulous the minute I saw this sneak peek on instagram on my way to the event. 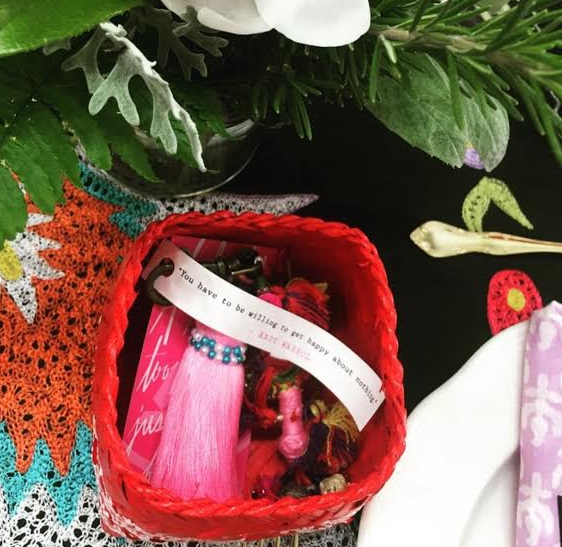 It was posted by Jamie Meares, who styled the Art and Design Dinner, hosted by Couture Knot Rugs and The SoGood of Charlotte. The evening was nothing short of brilliant. Lacefield's New Outdoor Pillow Collection is Fabulous! 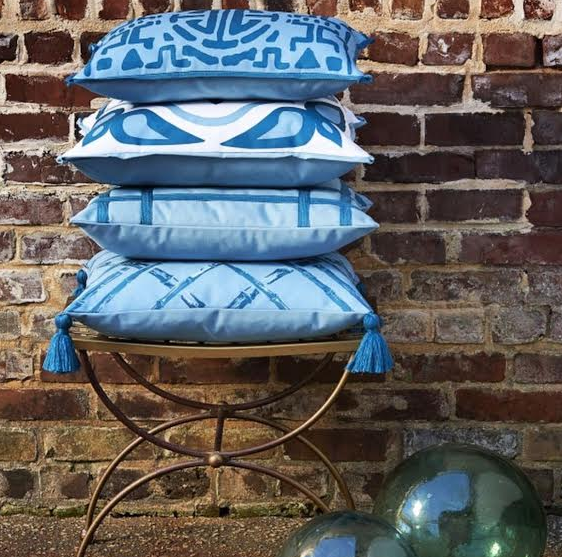 One of my favorite finds at High Point this spring was Lacefield Designs new outdoor pillow collection. 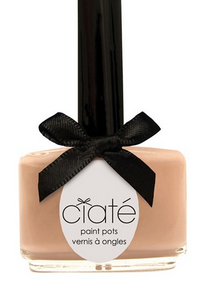 I have used their line for several years and find the quality impeccable. While I love their line of indoor pillows, I am absolutely crazy about about their new outdoor collection. Dash and Albert Rugs, Great for Indoors and Outdoors! I had a great experience participating in the Traditional Home and Junior League of High Point Show House. The ladies of the High Point Junior League and staff from Traditional Home worked hard to make our jobs as designers in the house as painless as possible. I could not have done my job as a designer if it had not been for my fabulous room sponsors. One of my sponsors was Dash and Albert Rugs. I have loved Dash and Albert for as long as I can remember. The founder, Anne Selke is an amazing woman. Read her company philosophy if you want to get a taste of what make this wonder woman unique. The best way to achieve that happiness is by surrounding yourself with people, pets, and products you love. For nearly 20 years, we’ve applied our spirited, design-driven approach to creating bedding, rugs, sleepwear, and home furnishings for you (and us) to love—stylish pieces that stand out and stand the test of time. We are committed to quality—beginning with the initial design and choice of materials to our fast and friendly delivery, topped off with our exceptional customer service. We are defined by and take pride in each step of the process and the people who make it happen. What is the easiest way to update, and add pizazz to an outfit? You got it, a scarf! Do you love scarves as much as I do? Ok, I admit it, I'm kinda obsessed with scarves. 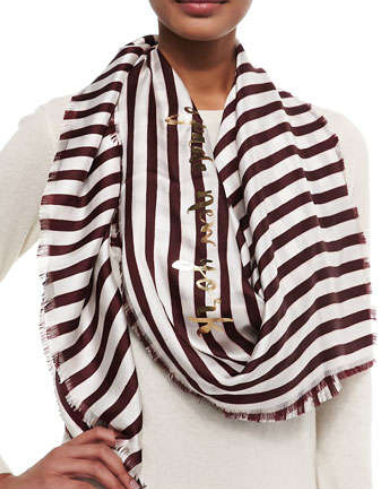 No other accessory can elevate a plain outfit to fabulous in a nanosecond like a scarf. Well, may be a great pair of shoes rivals a scarf in this warfare, but we are talking about scarves today so forget the shoes til another post! Scarves offer a chance to add your personality exclamation point to an outfit. They are also great for travel. You can pack all basic bottoms throw in a few scarves and have outfit options for days. If you haven't gotten the lady in your life a gift for Mother's Day, run out and buy a scarf. It always fits! Just pick one in her favorite colors. The scarf doesn't have to be an Hermes or Pucci to make an outfit fabulous, but if designer scarves are your jam, rock on! Here are some of my recent designer and non-designer finds of great scarves. There are so ways to tie a scarf, choose a nip tuck "Pan Am style" knot or a "Boho Loop" to define your style. Don't know what I'm talking about? Scarvesdotnet has a great master scarf tying guide. Check it out by clicking here. Are you a visual person and need someone to show you the ropes of scarf tying? Here is a great video with 25 ways to wear a scarf in 4.5 minutes. 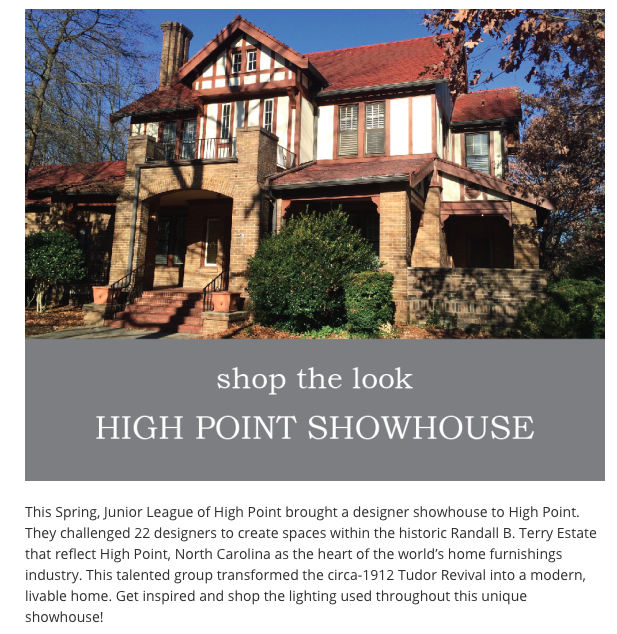 Did you attend the Traditional Home /High Point Junior League Show House? If so I know you saw beautiful lighting in every room. If not, and want a sneak peek of what attendees saw, now is your chance... We designers were so lucky to have Circa Lighting as one of the lighting sponsors for the house. Today, Circa is featuring a "shop the look" on their blog for our show house, where they share all the Circa lighting designers used in the house. Pop over to Circa to see the entire post by clicking here! If you see something you like contact me or one of the designers featured, any of us can help you! Thank you to Circa for being a sponsor! The Traditional Home and Junior League of High Point Showhouse closed yesterday. I must admit I'm a little sad for it to be over, but I'm sure the Junior League is ready to resume life as usual. Those ladies worked endless hours to make sure the show house was a success. I would like to thank Mary Powell Delilles and Elizabeth Harris of the League, for helping with the three rooms I designed come together. 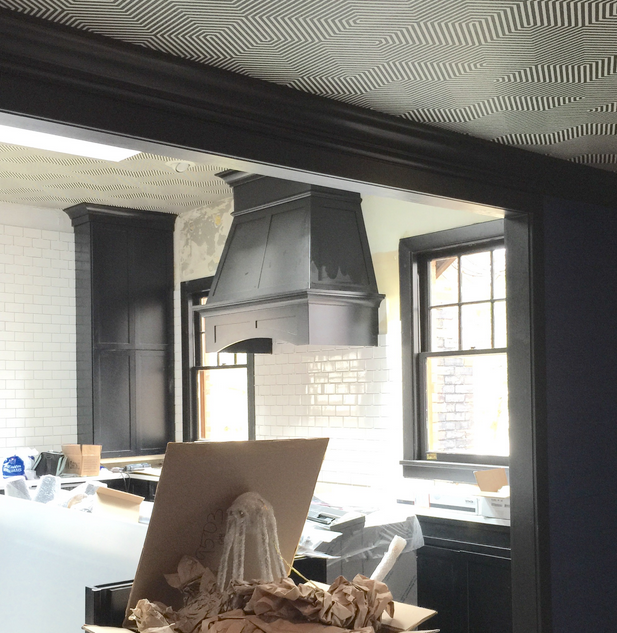 The kitchen is always the most intensive space to complete in a show house under a short period of time. This kitchen was completely renovated in less than seven weeks. I couldn't be on location daily, so these ladies served as my eyes, ears and hands in making sure things progressed smoothly. Thanks, Ladies, job well done! Ok, so I promised to tell you why I chose Thermador products for the kitchen. Did you visit the showhouse? If you do, you know one of the reasons I chose Thermador was because of how beautiful the appliances are, right? 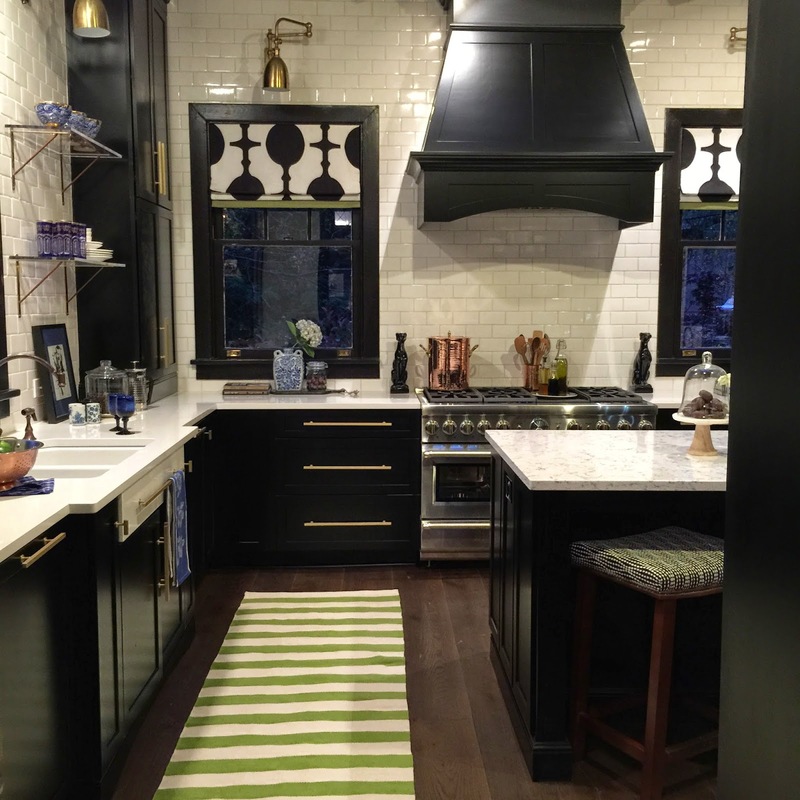 Thermador appliances upped the "wow factor" in this kitchen for several reasons. If you would like to know more about what I chose and why I chose Thermador, hop over to the Thermador blog and read the entire post I wrote for their blog here. Can you tell I am a HUGE fan of Thermador? Thank you Thermador for donating the appliances for my show house kitchen! I couldn't be happier with the outcome! It would not have been possible without and my other room sponsors! Dear Carolina, The Perfect Mother's Day Gift! My friend and fellow southern blogger, Kristy Woodson Harvey's book, Dear Carolina hits newsstands today! I was lucky enough to receive an advance copy and just finished reading it. While I adore Kristy to pieces, I wouldn't recommend any book unless I loved it ....and I did!